Pat McGrath—legendary makeup artist to the supes of the ’90s and beyond— launched her own makeup line in 2016, after decades of work as one of fashion’s most successful and in-demand, and by far the most inventive. 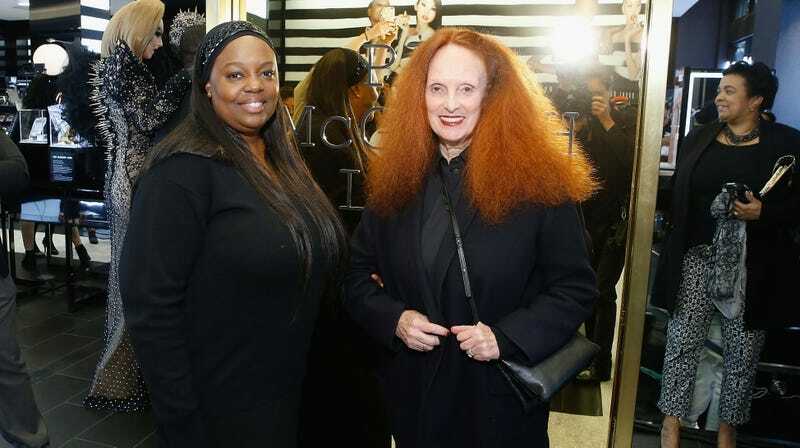 Pat McGrath Labs, her eponymous makeup line, has now been valued at an estimated $1 billion, neatly edging out America’s other cosmetics empress, Kylie Jenner. Jenner’s success with Kylie Cosmetics, self-made or not, is sort of to be expected. The makeup—it’s fine. Lip kits in warm nudes and eyeshadow palettes full of terracottas and the occasional bright shadow will sell in perpetuity because those colors are flattering and easy to wear, the lowest-hanging fruit wrapped in faux-subversive packaging. But Pat McGrath’s aesthetic is more adventurous. Her makeup is still wearable, but she traffics in heightened reality; different from the hyperreality that Jenner’s makeup brand peddles. Skin, as Linda Wells noted in her 2016 profile of McGrath, is the focus. “She draws out an incandescence,” Wells writes, “even when the colors and textures of the rest of the makeup are theatrical.” A McGrath face is a face at its most beautiful—the skin as luminous as it will ever be, but absent the Instagram-friendly blur effect that populates beauty gurus’ feeds everywhere. Put down that palette of neutrals and tasteful browns. Take a blue eyeshadow—or a yellow, or a bright and juicy l’orange, or a dirty acid green. Find your light; let Mother guide the way. What Should I Do With the Sequins in Pat McGrath&apos;s Fancy Packaging?